Since its takeover by a new chef and owner, the restaurant Aigle Noir has been amongst the best places to eat in Fribourg. This restaurant offers two types of cuisine. The brasserie is a bistro-style place that offer simpler plates and a daily lunch menu. 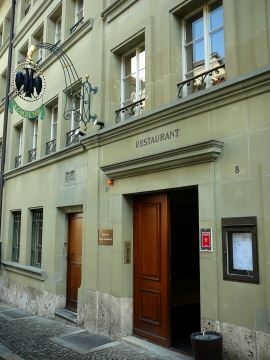 The restaurant has a gastronomic orientation with two menus prices between 95 and 145 Swiss Francs. The wine list of the restaurant L’Aigle Noir in Fribourg is long and well diversified, with a wide range of Swiss wines and some prestigious French bottles.